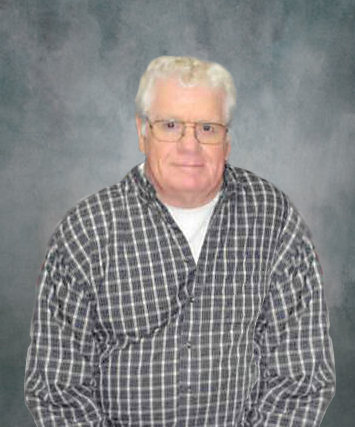 George E. Seley, 79, Audubon, MN, died Monday January 14 at Essentia Health in Detroit Lakes. Celebration of Life for George will be held Saturday, January 19 at 2pm in Lake Eunice Evangelical Free Church, rural Detroit Lakes. A gathering of family and friends will be held one hour prior to services. George Elof Seley was born December 30, 1939 in Freemont, NE to Henry and Lydia (Anderson) Seley. He attended District 34 Country School near Audubon and graduated from Audubon High School in 1957. After high school he enlisted with the United States Navy. George always said he enjoyed serving his country. He was honorably discharged from the Navy in 1963. After his service George worked as an over the road truck driver for Art Kohler. On March 13, 1963 George was united in marriage to Sharon Arneson at First Lutheran Church of Detroit Lakes. In 1963, George and Sharon welcomed John into the family, and in 1965 their daughter Leanna Jo. He continued driving truck for a few years after their marriage and in the early 1970’s, George starting working for the Detroit Lakes Police Department. For over 25 years, George once again answered the call, this time making Detroit Lakes a better community to live and raise a family. After retirement, George enjoyed fishing, hunting and driving truck part time for Mattson Brothers. He also enjoyed tinkering in his garage on various projects, yard work and spending as much time as possible with his grandchildren. George and Sharon have been active members of Lake Eunice Evangelical Free Church since 1982. George will be remembered and missed by his wife of 56 years, Sharon and their two children: John (Brenda) Seley and Leanna (Bruce) Lunde. In addition he is survived by 10 grandchildren, one great-grandchild along with his siblings: Maxine Larkin, James Anderson and sisters-in-law: Marsha Seley and Lorraine Anderson. He is preceded in death by his parents, two sisters: Bonnie Green and Theresa Larson and two brothers: Henry Lee Seley, Noel Anderson and Bradley Anderson.